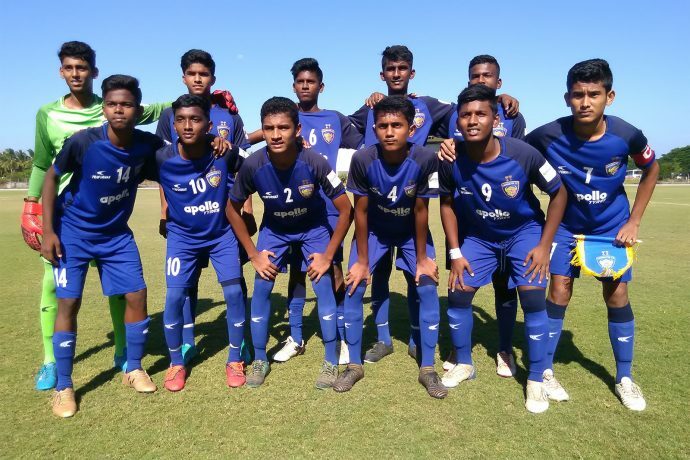 The Chennaiyin FC Under-15 team shared the spoils with the FC Madras U-15s in a goalless draw in the 2018-19 Hero Junior League Chennai Zone at the SSN College Ground in Chennai today. With this result, the CFC U-15s have a win, draw and defeat each to their name from their three games so far this season. And despite FC Madras’ best efforts to hit back on the counter, the CFC defence stood firm as it ended goalless.